Large size gusseted bags for protecting products that are in progress or are being packaged for shipment. We use only prime, virgin FDA&USDA approved resins in our plastic films, unless a client specifically requests a recycled resin. We can assure a consistent, reliable run of plastic bags and sheets because our major suppliers always maintain inventory levels to match our monthly requirements. Our dedication to quality in both materials and manufacturing ensures our client receive the plastic sheets, film and bags that meet their exact specifications. Major food, chemical, pharmaceutical, automotive and appliance manufacturers, among others, rely on our ability to extrude and convert plastic film products so that they can offer their customers the best possible product, packaged in plastic liners or bags for excellent protection during in plant processing and/or transportation. Contact to have a NPS representative contact you about our plastic film, bag and liner expertise. Square and round top sheets are converted to fit any pail or drum. 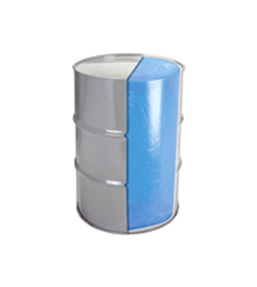 Square sheets are used for open head drums when packaging and processing in-plant. Round sheets are for added protection when covering products with a lid. Both are ideal for most industrial applications. Our elastic dust covers, square top sheets and round top sheets offer the specialized protection you require. 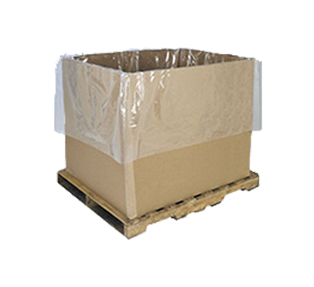 The tight-fitting elastic dust covers protect in-plant or bulk packaged products from outside elements. Made of 4-mil LDPE film, they’re ideal for food, chemical and pharmaceutical applications. Contact us to have a NPS representative contact you about your drum cover needs. 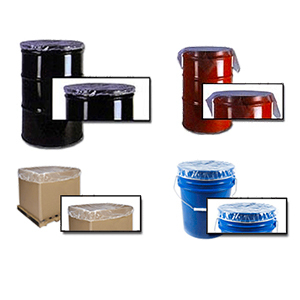 That’s what you can count on when you rely on our Round Bottom cylindrical shaped drum liners and pail liners. Processors using our Round Bottom Drum Liners can recover 100 percent of their bulk packed materials, saving about 2%-3% on every drum packed. The Round Bottom Drum Liner’s ccontoured shape also allows for easy insertion, boosting in-plant productivity. Our other specialty products include elastic dust covers and square and round top sheets. Want to See Our Full Product List?